We wanted to start a foundation in memory of our precious son, Vaughn. Having Vaughn in the care of the Stollery was an eyeopening, life changing experience to say the least. You never really understand this everyday kind of life until you are in fact one of these families. Watching these hardships, fall upon such innocence, leaves you feeling powerless. We hope to make a small difference where we can to help ease the burden. 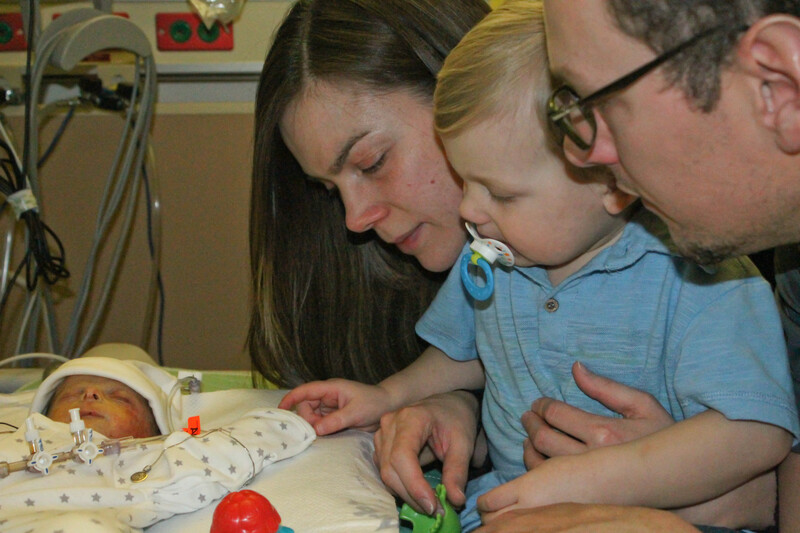 By ensuring such efforts to the Pediatric Cardiac Intensive Care Unit, and the families, our healing journey continues while building a legacy for our son. Our commitment to the Vaughn Sawchuk Foundation is to support & contribute to the families of the Pediatric Cardiac Intensive Care Unit (PCICU),at The Stollery Children’s Hospital. We also encourage organ and blood donor registration,CHD research and the Little Heart Heroes Camp.